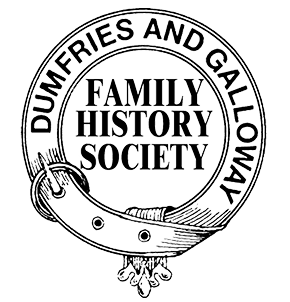 1851 – all Dumfriesshire parishes in individual hard copies, indexed and as enumerated plus a Dumfriesshire index. 1851 census is available in fiche form at main libraries across the region and free online. Surname indexes are also available in hard copy at the Ewart Library, Dumfries. 1861 – all Dumfries and Galloway parishes, on film, some Dumfriesshire parishes are indexed (see parish boxes). Our library has a good selection of books on local and family history and maps old and modern. Contents of library are listed on the computer and on card system listed by author’s name and subject. Most graveyards in Dumfries and Galloway have been surveyed and can be seen in hard copy in our library – exceptions are a few in Wigtownshire, currently being recorded. Some Nithsdale ones on fiche, indexed – Caerlaverock, Dumfries (some), Durisdeer, Glencairn, Greenhead, Keir, Keir Old, Kirkbean, Kirkmahoe, Kirkmichael, Morton, New Abbey, Sanquhar, Southwick, Terregles, Troqueer, Tynron. For those that are for sale see publications list and shop shelves. There is a complete set of our own newsletters in binders on top shelf of the library. Back numbers can be purchased, if still available. Current newsletters from other Scottish FHS and some English and overseas FHS are stored in library. Wigtown Free Press from 1843-1925 on fiche. All Dumfries and Galloway parishes on film. British Isles Vital Records Index CD set containing birth, christening and marriage records not usually found on IGI. Indexes to deaths/burials – see publications list for parishes, currently only Dumfriesshire. In the library all parishes have a box containing small items (newspaper articles, photos, small booklets etc) concerning that parish.